Social media has become a destination for reading and aggregating news and spirited discussion for many internet users. While fake news has infected the environment, plenty of users are still able to have genuine conversations. 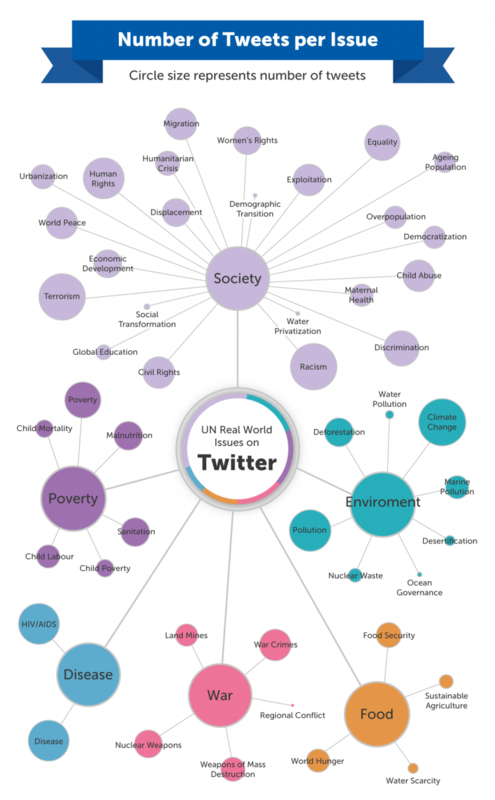 A study from SOAS University of London explores the most popular topics on Twitter, as defined by an official United Nations list of real-world issues. The most-talked-about issues, perhaps unsurprisingly, are the current events that dominate the news every day. Terrorism, racism, climate change, human rights, HIV/AIDS, pollution, disease, poverty, equality and discrimination made up the top 10, which together accounted for for more than 150 million tweets during 2016. Unfortunately, these conversations are almost universally acrimonious. 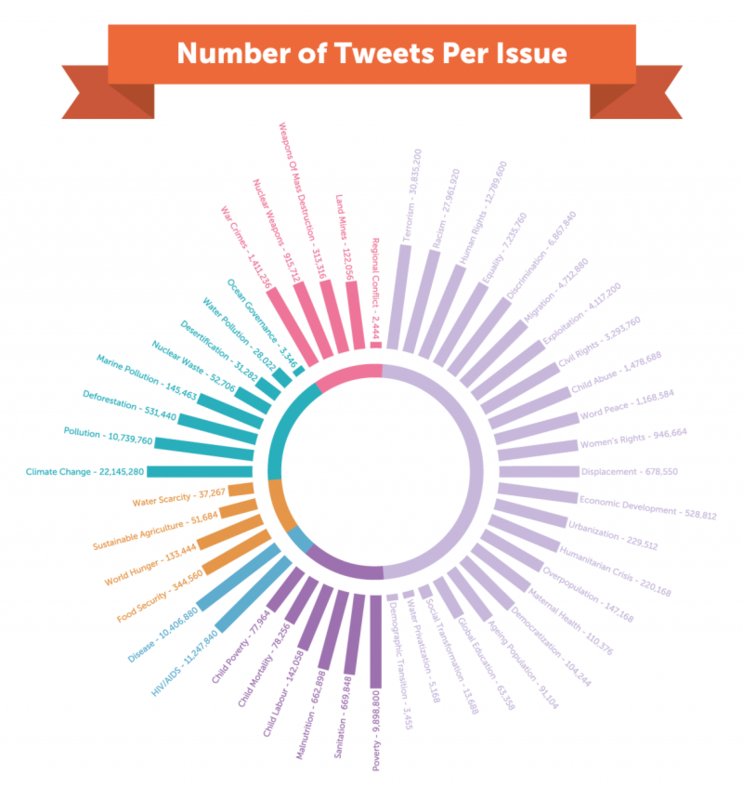 88 percent of all tweets recorded (152.9 million) contained negative words or had a negative tone. 7 percent of tweets were either neutral or context-dependent, and only 5 percent (9.5 million) were positive. The tweets were also divided into category by their topic—terrorism as a “society” issue and landmines as a “war issue”—and representation varies wildly. Nearly 60 percent of discussion volume related to society, while less than 20 percent related to environment, 12 percent was about disease and fewer than 1 percent discussed war. While social discussion influenced the news cycle, the two seem to be working in tandem, each powering and feeding the other. It’s possible that the negativity related to these topics is caused by the filter bubble or other related factors. We can conclude that these negative feelings may simply reflect the lack of optimism among the population because of the current socio-political mood across the world—we can call it the Trump or Brexit effect or anything else—but the one thing that is clear is that most tweeters feel pessimistic and have lost hope … Are the numbers showing a trending call for help? It’s clear than social media users are interested in and engaged with current events, despite the corrupting presence of fake news. What’s more, people are discussion a worldwide range of topics. The tone of the conversations, however, isn’t positive. Hopefully, this critical mass of conversation can turn around and become a force for good. For more information, check out the full report. Image on homepage courtesy of hocus-focus/iStock.